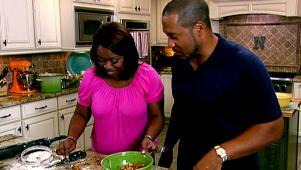 Let Pat and Gina give you a few delicious morsels of goodness from their home in Memphis. They start with Gina's Chickpea, Ham & Swiss Chard Soup that'll leave you feeling warm all over. 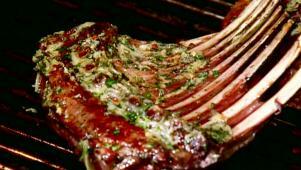 Then they go for the kill with Pat's Garlic Grilled Lamb Chops. To round off this scrumptious meal, sink your teeth into the Neely's Cider Poached Apples With Pecans. While the lamb chops are grilling, Pat rubs them with a garlic-herb paste. 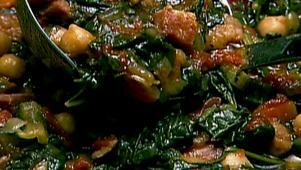 Pat and Gina cook up a pot of savory chickpea, ham and Swiss chard soup. The Neelys make classic fried apple pies and top them with ice cream.